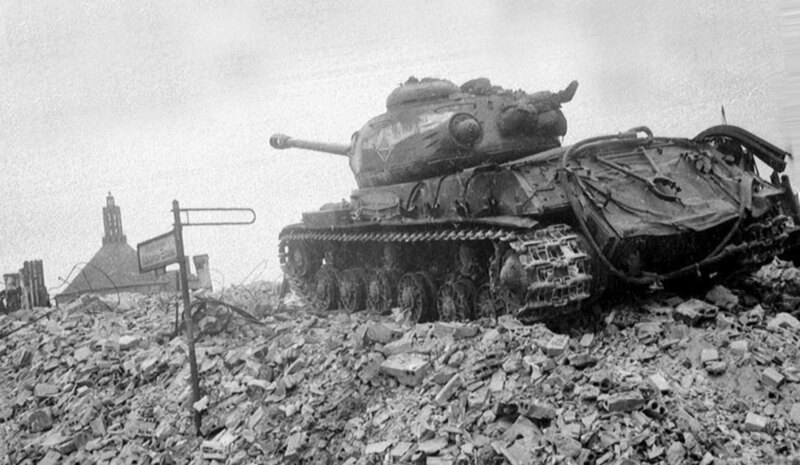 Photo Soviet heavy tank IS-2 in the destroyed Berlin. JS-2 (Object 240) – Soviet heavy tank during the Great Patriotic War. The abbreviation JS stands for “Joseph Stalin” – the official name of the serial Soviet heavy tanks of 1943-1953.